Two serious trucking incidents occurred in Pembroke Pines this month. In the first incident, a large sinkhole opened up on Pines Boulevard, swallowing a large truck. The sinkhole opened up when a water main broke. In another incident, a waste truck caught fire on the Interstate 75 in Pembroke Pines. Although the flames were quickly controlled, lanes on the highway were closed while fire fighters responded to the accident. The fire began when the truck – carrying petroleum-based roofing materials – caught fire. The incident highlights some of the dangers of hazardous cargo. 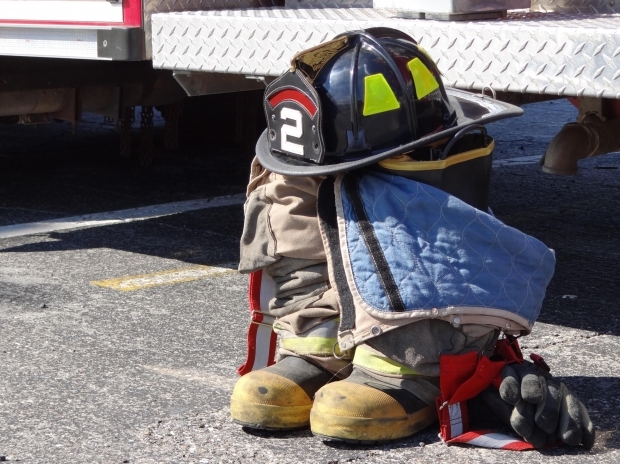 Fire fighters noted that some types of petroleum-based roofing materials can spontaneously combust, especially in hot weather. Dangerous cargo. As the roofing materials in the second accident demonstrate, dangerous cargo is not just dangerous in a collision. In some cases, it can cause a crash. Sometimes, cargo can be overweight or poorly secured, spilling onto the road or causing a driver to lose control of their tractor-trailer. In some cases, hazardous cargo can be toxic or flammable, causing fires and burn injuries. Road design. The sinkhole in Pembroke Pines may not have been preventable, but adequate maintenance and good engineering can go a long way towards many types of accidents caused by road design issues. Poor road design in Pembroke Pines and surrounding areas can mean intersection accidents and other accidents caused by poor visibility, inadequately narrow lanes, and other issues. Maintenance issues. Authorities did not report whether maintenance issues led to the water main break which led to the sinkhole in Pembroke Pines, but poor maintenance in cities in general can lead to devastating trucking collisions and other traffic crashes. Poorly maintained roads, for example, can have uneven surfaces and potholes that can be dangerous for drivers. Poorly maintained highways can have trees and other vegetation blocking signs and traffic lights. Emergency response to trucking collisions. In both the incidents in Pembroke Pines, there were thankfully no injuries. By all accounts, emergency responders arrived on the scene quickly to offer assistance and to deal with lane closures and potential issues. Properly trained emergency responders make all the difference at emergency scenes. They can put out fires caused by dangerous cargo, clear areas affected by toxic cargo, offer life-saving medical aid, and help put out fires caused by traffic collisions. In many cases, trucking incidents are blamed on fatigued drivers or motorists who are violating the rules. However, as these two incidents show, sometimes it is also other factors that can contribute to truck fires and collisions. In truck accident cases where driver negligence was not a factor, you may still have a legal claim if you have been injured. You may have a claim against a city, car manufacturer, truck carrier, or other liable party. To explore all your legal options, contact Flaxman Law Group for a free case review. You can always reach our law firm at 1-866-FLAXMAN (1-866-352-9626). Our legal team has more than 60 years combined experience and is proud to serve Miami-Dade County, South Miami Heights, Broward County, Palm Beach County, and surrounding areas.